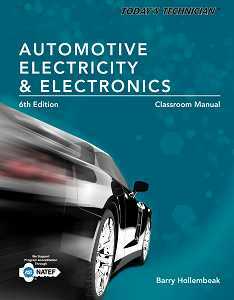 Automotive Electrical and Engine Performance covers content and topics specified for both Electrical/Electronic System (A6) and Engine Performance (A8) by ASE/NATEF, as well as the practical skills that students must master to be successful in the industry. 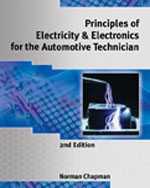 Tomorrow’s automotive professionals get a firm background in the principles and practices of diagnosing and troubleshooting automotive electrical, electronic, and computer systems in a clear, concise format at a level of detail that far exceeds most other texts in the area. 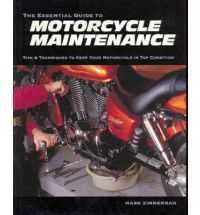 Formatted to appeal to today's technical trade students, Halderman’s text uses helpful tips and visuals to bring concepts to life and guide students through the procedures they'll use on the job. 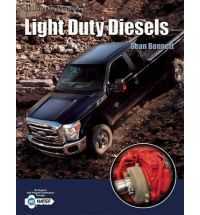 To keep your course current, all of the content has been updated to correlate to the latest NATEF tasks and ASE areas; many new full-color line drawings and photos have been added; a new chapter covers gasoline direct injection (GDI) systems; and new, updated, or expanded information has been included on OSHA hazardous chemical labeling requirements; electrical circuits; GM low-speed GMLAN; fuel pump diagnosis; fuel injection diagnosis; OBDII diagnosis; permanent (Mode $0A) diagnostic trouble codes; and electric vehicle (EV) and plug-in hybrid electric vehicle (PHEV) charging. Four new appendixes provide a sample Electrical/Electronic systems ASE-type certification test with answers; a sample A8 Engine Performance ASE-type certification test with answers; an NATEF correlation chart showing all MLR, AST, and MAST tasks for electrical/electronic systems (A6) in one chart; and an NATEF correlation chart showing all MLR, AST, and MAST tasks for engine performance (A8) in one chart.